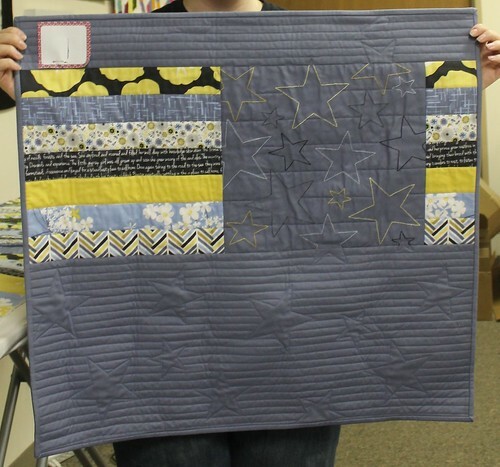 Columbus Modern Quilters: April 2013 Meeting - Madrona Road Reveal! If you want to give a demo at a future meeting - see Stacey. We talked about having a Friday Night Sew In at QT. Stacey jotted down some dates to run past Sue. So more to come on this. Upcoming evets: we're talking about going to Country Fabrics and Door Mouse in the August timeframe and The Dairy Barn July-ish. We also talked about becoming an NQA guild. Since we don't have dues, if everyone could bring $2 to the May meeting, we'll take up a collection to join. OH! 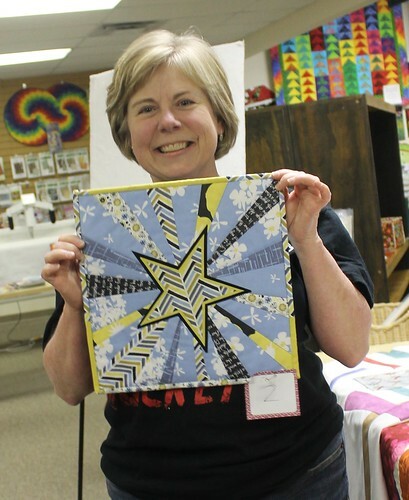 And don't forget to check out Abbe's quilt show at Vinyl Frontier Record Shop downtown on Gay Street. A bunch of foks are going down to see it on April 27. See Stacy or Dana if you want more info. 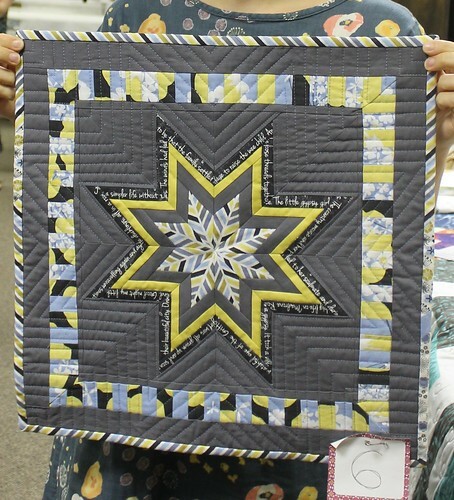 And Abbe is officially a professional quilter because she sold one of her wall hangings at the show. Way To Go Abbe! Madrona Road Challenge - And the winners were (do I hear a drum roll??) Abbe, Stacey, and Erika. Well done ladies! Here are the pictures (More on our flickr page!